Let TriMet bring you in for a safe, smooth landing at the largest civilian air show on the West Coast, so you can catch all the aerobatic stunts, ground displays and action the show has to offer. The Oregon International Air Show expects to draw some 65,000 people to the Hillsboro Airport from Friday, Sept. 28 through Sunday, Sept. 30. Take transit to avoid parking hassles and traffic congestion. 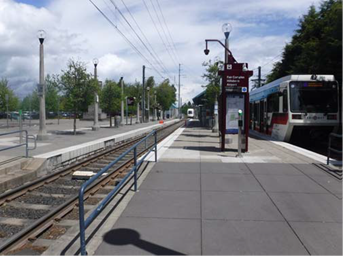 MAX Blue Line trains conveniently stop about every fifteen minutes at the Fair Complex/Hillsboro Airport MAX Station. From there, it’s a short ten-minute walk along NE 34th Avenue to the airport about a half-mile north of the station. Another way to get there is on TriMet’s Line 48-Cornell bus. It runs seven days a week between Sunset Transit Center and Hillsboro Transit Center, and stops at the airport’s front gate. TriMet service is available during the entire air show. Show hours Friday are from about 6 p.m. until 10 p.m. Gates open at 9 a.m. Saturday and Sunday, and the show runs from noon until 5 p.m. both days. Our online trip planner makes it easy to book your ticket to the air show, with information on travel and walk times, transfers and costs. TriMet also has a number of free Park & Rides throughout the MAX system to help passengers connect with trains. Need more help? Our Rider Support team is available seven days a week, between 7:30 a.m. and 5:30 p.m. Call 503-238-RIDE (7433), tweet to @trimethelp or use our online form at trimet.org/contact/customerservice. You can also text the Rider Support team 24 hours a day at 503-238-7433. Taking TriMet is economical. A day pass costs $5 for adults and $2.50 for youth (ages 7-17) and honored citizens (ages 65+). Children six years and under ride free. Your fare is also accepted on C-TRAN and Portland Streetcar. TriMet’s Hop Fastpass® offers several ways to pay. 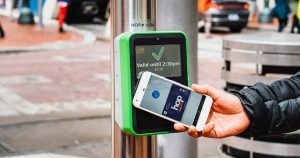 If you have a mobile wallet (Apple Pay, Google Pay or Samsung Pay), you can simply tap the green Hop reader on our buses or at rail stations with your phone to purchase Adult fare. It’s a convenient option for those who only ride occasionally. Frequent riders should opt for a Hop card. You can buy one at nearly 500 retail locations. Load money on it then tap and go. Plus, earn day and month passes as you ride! Learn more. You can also buy a virtual Hop card and load it into Google Pay. Tap your Android phone to a reader and get all the benefits of a plastic Hop card.